OMGOSH yes. You must have that tee. We will get through this You are one tough tough lady. I am very sorry to say that it is a HUGE blessing that the doctor you saw is retiring. I mean you get “fixed” so you can continue on with your life and what you want to do. To be told you won’t be able to do what you want after you get a new hip sounds damning. I am glad you are having to get a new doctor. You’ll find one that will replace your hip AND support your goals. I should clarify, Terre. I actually really liked the doctor a lot. What he said made sense to me and was realistic. 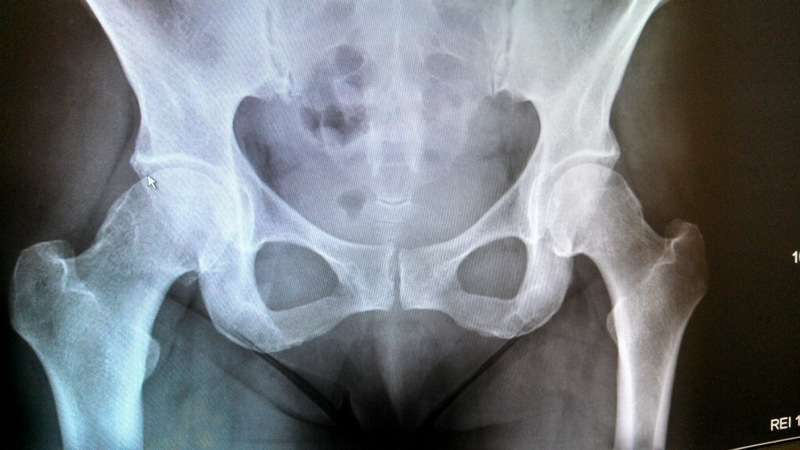 These artificial hips aren’t made to last forever (15 yrs for some). Most people who get them are a lot older than me, and don’t run, so they will last a lifetime. If I want mine to last 30+ years I need to be really careful – either learn to run in a “new way” or maybe run less or not at all. I don’t want to have to re-do this surgery so I am going to do a lot of research and investigation of what is best in the long run (pun intended). Thanks for your support! Mega hugs, and happy happy for a new community! I hope you find a new doctor you love. We’re all here for you! hey maybe there’s hope that i will run again some day! Is there a kneerunner group???? So eloquently said. And I have been there. Thank-you for sharing. Hi Susan, I am so sorry to hear about this. Reading your posts on running have been such fun. However, I do Taoist Tai Chi, and there is probably a club in your area. Go to taoist.org and follow your nose to find classes in your area. Taoist Tai Chi is amazing for helping us learn to use our bodies better, and for strengthening all our body parts, especially those we damage with other forms of exercise. Try it, your hips will hurt less, the arthritis will be less of a problem, and you “might” be able to put off surgery. If not, it will help you prepare for and recover from surgery. Most of us who found it, find that it is a journey we can follow for all of our lives. We don’t run marathons (well some of our members do) but we do exercise for up to seven hours a day when we attend workshops. Susan, I was riveted to this post! I’m way older than you, but I walk for miles every week and take yoga classes and pay attention to bodily signals. And my left hip is giving me big problems. Though I’m hoping it’s the psoas muscle, I fear it’s both that and the joint. Bad arthritis in my hands, so why not my hip, hey? Anyway, your story gives me hope but mainly makes me happy for you–that you’ve found this group and your skies look brighter. You’re such a fabulous example. Susan, I’m so sorry that you’re facing this and at such a young age. I have worked with several clients with hip replacements and I have a few thoughts … some you’re not going to like to read. 1) your doctor is right, these replacement joints have a shelf life of 10 to 20 years depending on a) the manufacturer, b) how well it’s installed and c) wear and tear … and yes running will definitely increase the wear and tear. 2) manufacturers are always working on increasing the longevity of the artificial joints so do some research and see where things stand these days. I had a roommate who worked for Johnson & Johnson and they have a large replacement hip division and this one their #1 focus. 3) since you’re young you have to expect at least one possibly two more hips in your lifetime. Likely this will be your first surgery … make sure you doctor thinks about this when they’re doing the replacement. You want to do as little damage to the bones as possible because you will likely need to use them again later. 4) Most people who get hip replacements wind up with that leg slightly longer than the other (the way the joint is usually installed). Just be aware of that and make sure you get a referral to a physical therapist who specializes in sports med. It’s a separate area of concentration and one that you’re really going to want. 5) If running is it and there just simply no other sport for you consider taking it down a notch. For instance … 5Ks and 10Ks instead of half marathons … also consider cross-training more. So run twice a week and do something else twice a week. 6) Get as much PT as you possibly can, work your HMO for every penny! You’ll have much better gait work if you can stick with a PT for as long as possible. 7) Hips can be replaced in different ways … some people go in “from the back” and some go in “from the top” of the femur (your thigh bone). Each option will effect your gait and weight bearing in a different way, discuss it fully with your doctor. Hope this helps … I had a client with a chronic hip issue but it didn’t need a replacement and she was a runner through and through. She finally admitted to herself that she had to stop and switched to Yoga and found she loved it in a different but equal way. That might not be your best solution … but I just wanted to put it out there as an option. Thank you Lisa, very helpful! I’m so sorry about your suffering, Susan. 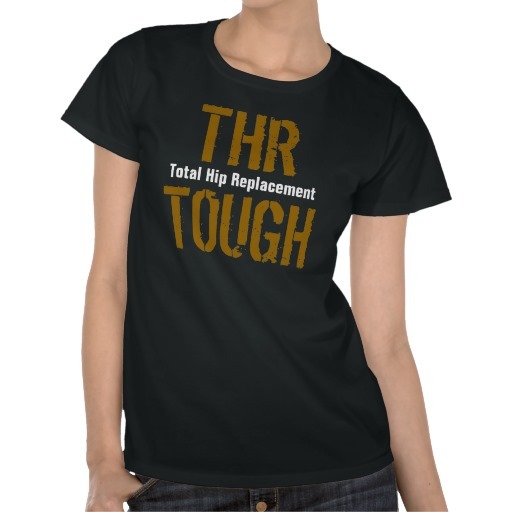 Forgive my dunceness, but what exactly about your hip requires surgery? I couldn’t tell from the x-ray. And would the area calm down if you weren’t running and did take up a gentler form of exercise, which I know you’d rather not hear, but I’m just trying to understand your health situation. Is arthritis irreversible? I certainly wouldn’t want to live with chronic pain if there were a surgical solution, so I understand. Just trying to figure out the options. In any case, I hope you feel soothed by the many people who love you and who responded on your blog and who are in your life in the flesh day to day. Sending you healing prayers. How amazing that there is a support group for you to connect with already. My sister-in-law had her hip replaced and she said it was the best thing she ever did. My father-in-law had both knees replaced and he says the same. I wish you the best of luck with your decision and support throughout your healing process. HUGS! When I had my back surgery, I was told I probably wouldn’t run again. I worked at the rehab but didn’t push it. Eventually I was able to run again. The key was finding a physical therapist who believed in me and a community of friends who were supportive. You’ve found the community and now work well with your physical therapist. Lots of love and mucho FREE HUGS! Susan, I’m sorry that you are going through this. However I know from a friend and my uncle who had this surgery that they do recover well. Now knowing there is a hip runner community, I have no doubt you will get through this new challenge. You have amazing strength and lots of people praying for you. Sending you lots of love. Susan. You ARE THR Tough!!! Welcome to the “Hip” Runner’s Club. Looking forward to hearing more about your progress. Hip Brother Tom. I’m so sorry, Susan. What tough news to hear. I really hope you are able to get back to running after your surgery. Oh hugs! You have the determination and health to get back to running after surgery. I’ve treated a few THR patients in my brief athletic therapy career, and you’d be surprised how much personality, determination & mental toughness plays in the recovery prognosis. I have no doubt that you will do all the work required to fully recover. It’s actually because I could not understand the patients who were unwilling to do the work to get better that led to me having to leave the industry. It broke my heart to treat people for years and months who were unwilling to treat themselves and do whatever it takes to recover. You on the other hand – are much different. You can do this!!! Sugar injections? Who administers those? I have never heard of that! Thanks, Karen! I will get the info from her and get it to you. She says its incredibly painful but so worth it. AWWWW well kinda bad news, for her anyway. Prolotherapy. She said she had a miracle with the first treatment and a terrible experience with the second. She is going to a different dr that also does prolo and consulting ith an ortho late in the month since the prolo has not gone well. She said Prolo will only buy time not prevent a hip replacement. Sorry, I thot it was to really do a long lasting job. She didn’t say what dr.